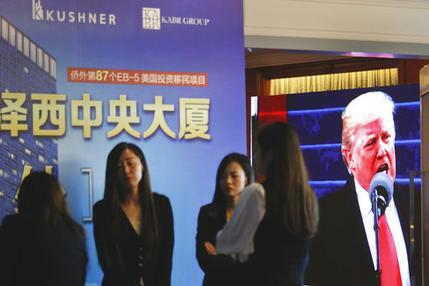 The Kushner Companies has apologized for including the name of President Donald Trump’s son-in-law in materials promoting a New Jersey development to foreign investors seeking potential U.S. residency. Jared Kushner himself is not involved in his family’s development project. But his family ties have drawn new scrutiny to the EB-5 program, which offers foreign citizens who invest at least $500,000 in the United States a fast track to a green card. Critics of the investor visas have faulted them for failing to bring investment into downtrodden communities, and federal agencies have faulted the visa program for attracting money launderers and potential spies. On Monday, Trump administration spokesman Sean Spicer said the president would look at the foreign investor visa program as part of a broader review of immigration policy.